Hero Histories: Holy Cowled Crusader! It's the THWOCK! ZAM! BOFF! Adventures of The Owl! Holy Cowled Crusader! It's the THWOCK! ZAM! BOFF! Adventures of The Owl! In 1967, with the pop-culture success of Marvel Comics and the Batman tv series , superheroes were in vogue again! Curiously, while Marvel and DC revived their Golden Age characters in reprints and new stories, and Archie did new tales about the classic characters, other publishers chose to do new characters instead...with one exception! 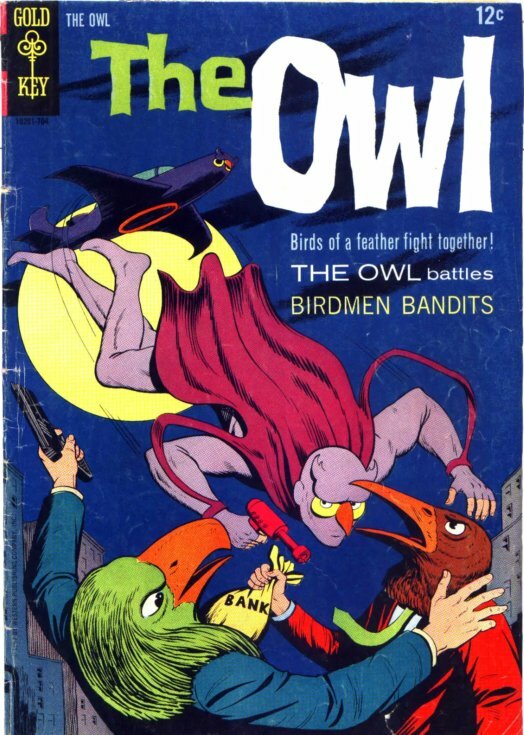 Gold Key now owned the 1940s Dell super-heroes, and though they did do a few new super-hero characters like Dr Solar, the only Golden Age character they revived was the one in their library most similar to Batman. 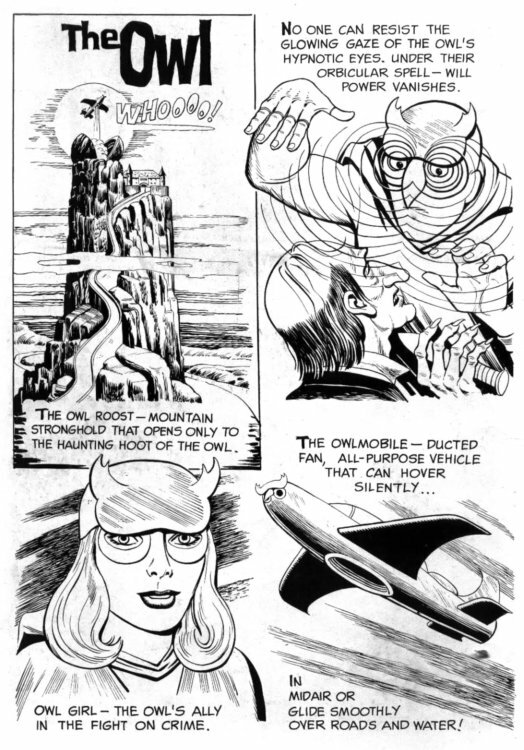 And because they felt it should be as much like the tv Batman as possible, Gold Key had writer Jerry Siegel (yes, the co-creator of Superman) and Lone Ranger artist Tom Gill camp it up beyond belief! You'll see the results tomorrow and Friday. *Doc Savage and G-8 were pulp heroes who had gained new popularity thru paperback reprints. Tarzan, Flash Gordon, Buck Rogers, Mandrake, The Phantom, Brick Bradford, et al, were newspaper strips that published from the 1930s onward without a break. The Green Hornet and The Shadow were originally radio shows. And The Blue Beetle was a rather unique case, being a Golden Age hero at Fox who continued with new adventures at Charlton into the Silver Age before being rebooted in 1964 and then replaced in 1966 by a totally-new character when the reworked hero was killed off!